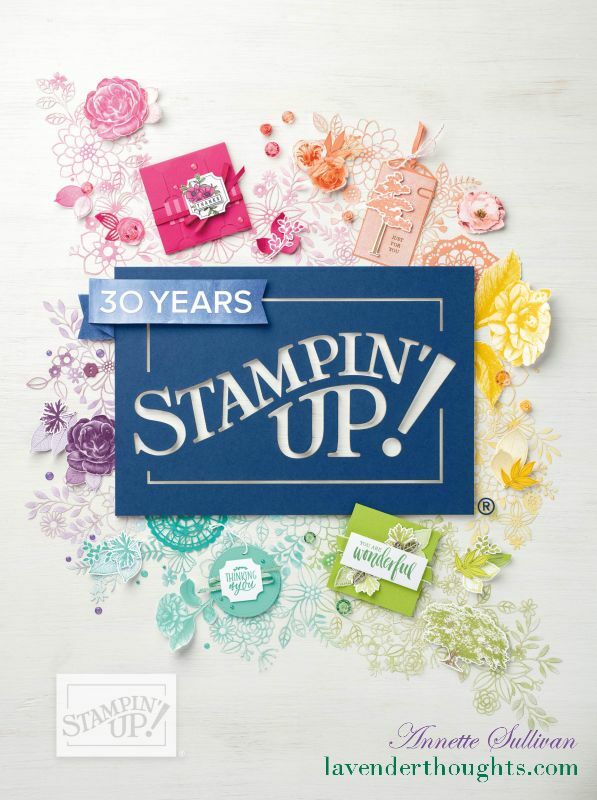 Today’s card uses one of the many hidden, but great stamps sets in the Annual Catalogue – All the Good Things. A layer of Very Vanilla was stamped with the Burlap background stamp and Sahara Sand ink. It was then lightly sponged with Pool Party ink and attached to a Bermuda Bay card base. The oval frame was die cut with the Stitched Shapes Framelits and the Layering Ovals Framelits using Bermuda Bay cardstock. It was then attached to the burlap layer using Foam Adhesive Strips. Coral and sea grass were die cut from the Under the Sea Framelits using Fresh Fig and Mossy Meadow cardstock. The grass was attached inside the frame – only at the base of the grass. Parts of the coral were attached behind and in front of the fish. The fish was stamped with Mango Melody ink on Whisper White cardstock and fussy cut and added over the sea grass. Sentiment was stamped with Mossy Meadow ink on Very Vanilla cardstock and sponged with Pool Party ink then added to the top right hand corner of the oval with Foam Adhesive Strips.